Nokia previously announced plans to shut down the flagship store in Shanghai China, but now the Finnish manufacturer has closed its doors and ceased to accept customers at its brick and mortar establishment. 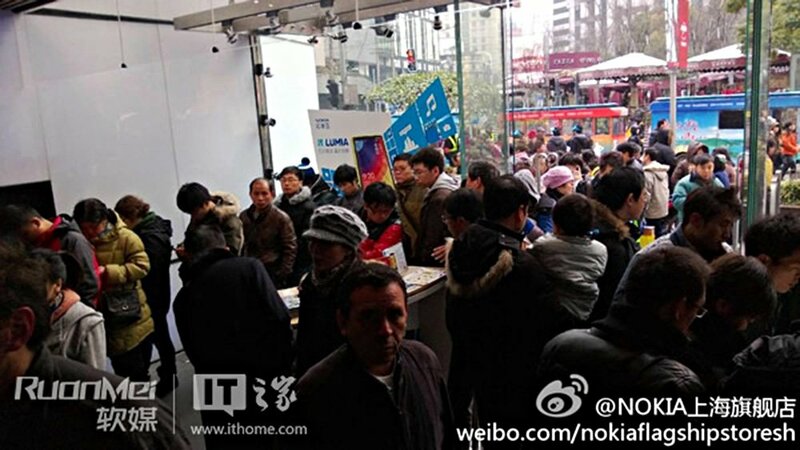 The flagship store in Shanghai is the latest in a series of shutdowns on Nokia's retail front. It wasn't a successful endeavour, according to TechinAsia. The website notes that the "Nokia Flagship Store SH" Sina Weibo account had only 928 reposts of its "Goodbye Shanghai" post over the last three days. The account itself only accumulated 4,251 fans - not exactly a massive following. It's odd as the report states that the Nokia Shanghai store opened in 2007 when Nokia, at that time remained China's top phone manufacturer with the Symbian platform. This was before iOS and Android took off. Nokia has since fallen behind in China and has only started to regain traction with Windows Phone 8. We've previously reported on this very store being swamped with consumers who were actively looking at Lumia Windows Phone hardware, but it would make sense for Nokia to cut costs where ever possible, especially if such activity was not maintained after a product launch. If the store proves to not be as popular as local retail and mobile phone specialists, Nokia would be better off spending the funds on marketing, partnerships and support at other establishments. That said, Windows Phone has been performing rather well in the competitive and important market, even taking more shares than iOS. Nokia is continuing to tackle China with the Lumia 720 and Lumia 520, two new Lumia Windows Phones that are launching in multiple regions. How Nokia and Microsoft will be able to continue pushing Windows Phone will be interesting to monitor, especially with the growing pressure from Android. Source: Sina Tech, via: TechinAsia; thanks, Reui, for the tip!